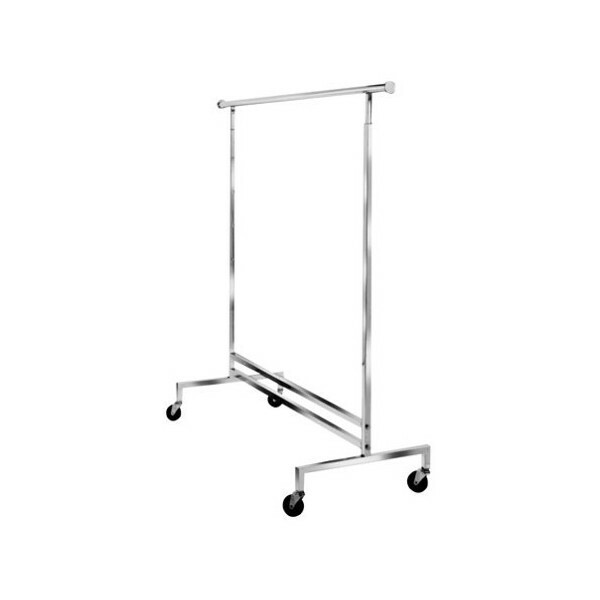 Length-60" Height-Adjusts from 48" to 72"
This single bar rolling garment rack adjust from 48” to 72” high, to accommodate tops, trousers, suits and dresses. The 1” square tube construction is matched with a 1 1/4" round hangrail. 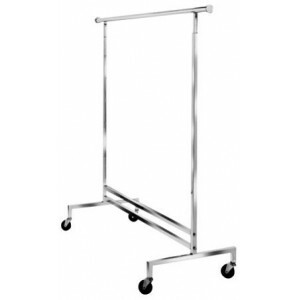 The durable 3” casters make it ideal for heavy duty use.